The tiny town of Panama with its pockets of shops aligning the busy streets, is a humble prelude to the quiet village life enveloped with mysticism and bewildering traditions. Panama remains the only Sinhala village in the East. The serenity of the quieter precincts awaits the visitor which foretell the signs of rural life laid out with the golden paddy harvests.The quite laid back trajectory of day to day life is to be discovered with the remote charm of its people and the seemingly simple way of life. 20km south of Panama is the village of Okanda that has a popular surfing spot. The village is home to a famous shrine located at the point god Skanda is believed to have landed on the island. 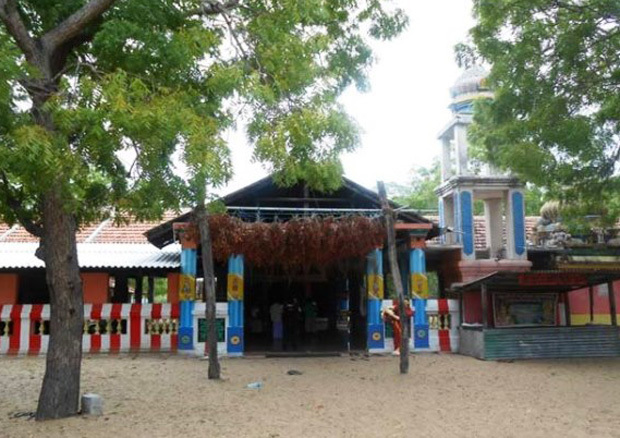 The shrine is the starting point of overland pilgrimage, the long walk to Kataragama for 15-day festival in July at Kataragama, the domain of god Skanda. A guided boat ride along the pristine lake cradled in its shade and enchantment is an ideal focal point to trudge along the river. The ride lets you see mangroves, wetlands, water bodies and some times a glimpse of the odd reptile. Shedding all traces of modern civilization you’ll come across acres of farming lands with plots of crops grown intermittently. It is simply a way of life where villagers collect honey from bees, hunt for game which they eat after preserving the raw meat in honey and consume tubers collected from the forest. In Panama tribal knowledge is still passed on through activity in institutions like the Kamatha or threshing floor, the pela or a small makeshift watch hut. The village of Panama village still preserves traces of an agrarian tradition that is many thousands of years old, composed of highly skilled and knowledgeable farmers. The region is also home to an extraordinary genetic diversity, particularly renewable forest products from perennial species and from plants of known medicinal value. Many villagers still maintain the cultural knowledge associated with this region. 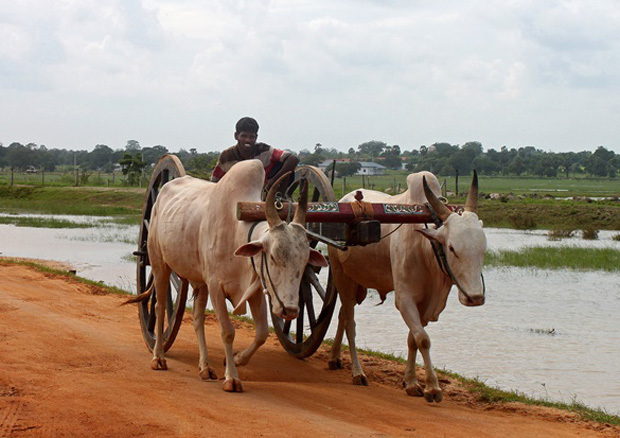 The farming economy in the present day revolves around paddy and chena cultivation that is prevalent with numerous cash crops grown and then taken to the Panama town. Also, some have found a livelihood by selling dry fish or making fresh curd. All in all, it appears to be a self supported, simple and unhurried lifestyle. The Crocodile Rock is a long flat rock with a majestic view of the area surrounding it. At the West and North side are two rivers and a lagoon which is winding towards in the sea. The beach is on the East side and wilderness down South. Crocodile Rock is a spot where often large sized crocs are seen basking in glory of the sun’s rays; without a care in the world within their own dynasty. Elephant Rock is a 25 meter high rock which looks like a tropical ice berg, however without any ice. It is depicted in a way where one can imagine that half of the rock hill is lying under the sea, very much like an ice berg. The rock is embellished with boulders of varying sizes with growth of sporadic green vegetation. The rock has good viewpoints over the surrounding lagoon, beach, and wildlife. Though sometimes there is a scarcity of water, the pond in the nearby vicinity – Magul Pokuna, never dries up and is where villagers bathe and drew drinking water from. The Panama Beach, unlike any ordinary beach, the coast here is arid desert-land, stretches of undulating sand leaving a distant traveler cast out on a strange and unfamiliar terrain. The site of Kudimbigala Forest Hermitage is thought provoking and set in dense jungle. It is said to contain over hundreds of shrines and hermits’ lodgings that contain in caves or in sealed rocky overhangs. Okanda is home to the Murugan Devale, which survived the 2004 tsunami and is a major point on the Pada Yatra pilgrimage to Kataragama. According to legend, the temple is of great spiritual importance as it marks the supposed point at which Murugan (Skanda) and his consort Valli ­arrived in Sri Lanka on stone boats. 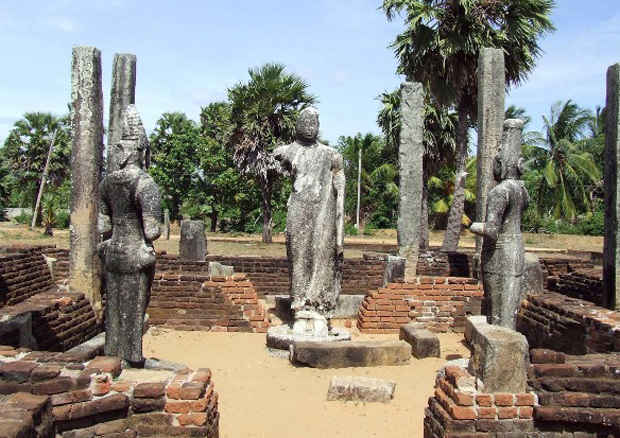 It is believed that this shrine is at least four centuries old, and goddess Pattini is held in high esteem as many associate her as the goddess of chastity, one of the most popular deities among Sri Lankans. She is worshiped by both Buddhists and Hindus alike with much devotion. 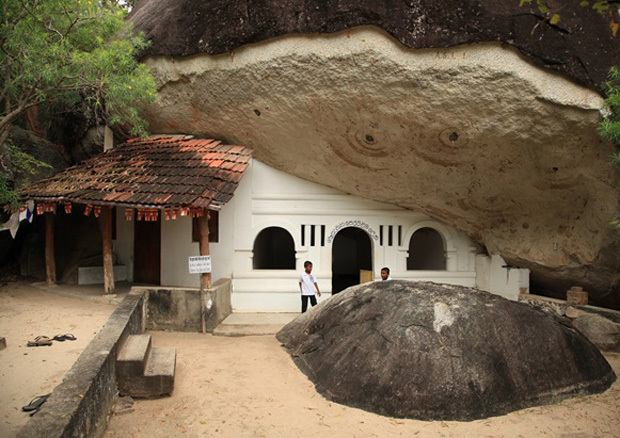 Apart from this shrine there are many Pattini shrines located within the length and breadth of Sri Lanka. This East side of the Yala National Park is not frequented by visitors even after the end of the 30 year long civil war. The visitor can experience a real jungle like setting without the hindrance of hundreds of four wheel drive vehicles polluting the lush vegetation. For bird watching enthusiasts this park is a “must visit” place. 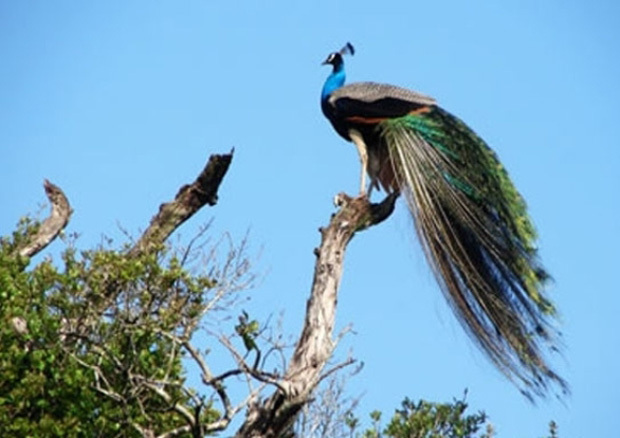 The best-known feature is the 200-hectare Kumana bird reserve, a rich mangrove swamp some 22km beyond Okanda. The park also includes ruins, deer, elephants and leopards( very rare). 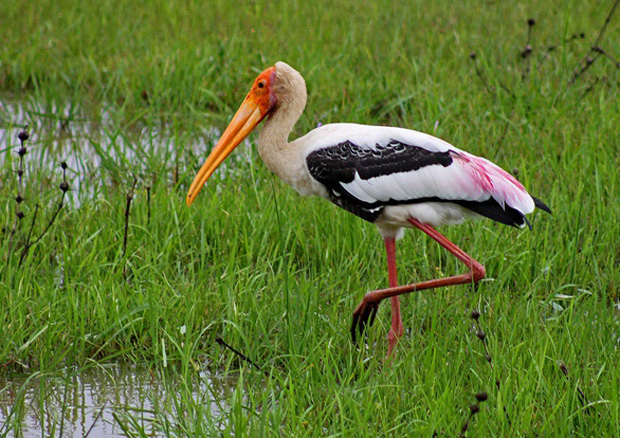 Many have been sightings of Sri Lanka’s very rare black-necked stork including species of bird such as pelicans, painted storks, spoonbills, white ibis, herons, egrets and little cormorants. 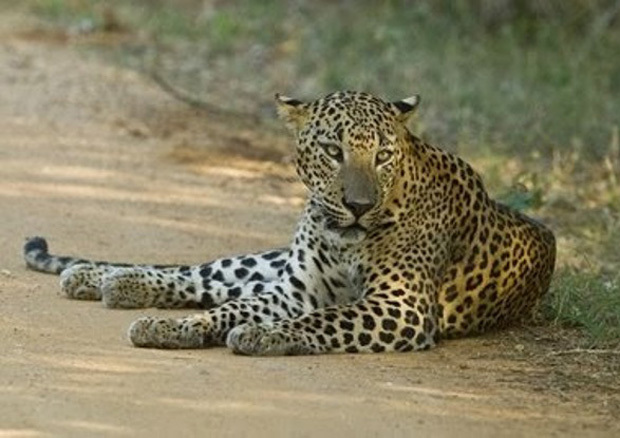 A short drive will get the visitor to Yala National Park. 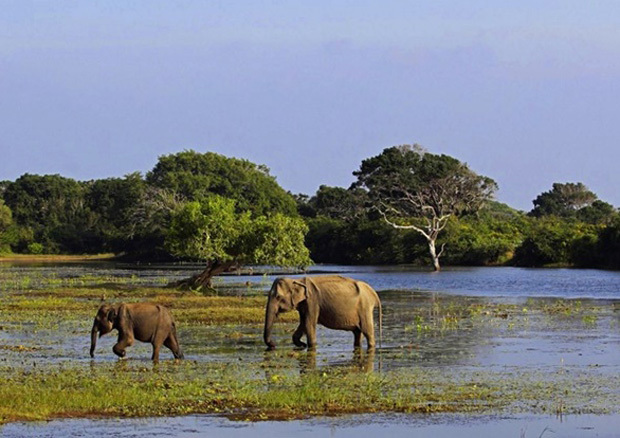 One of the most popular parks in Sri Lanka.Yala combines a strict nature reserve with a national park, where the total protected area included hectares of scrub, light forest, grassy plains and brackish lagoons. It’s divided into five blocks, with the most visited being Block I (14,101 hectares). The West side of Yala is home to one of the world’s most dense leopard populations and the best place to see these stunning animals. The park is also natural habitat for elephants, shaggy-coated sloth bear or some of the fox-like jackals. Sambars, spotted deer, boars, crocodiles, buffaloes, mongooses and monkeys are here in their hundreds.Yala is without doubt a nature loving photographers paradise. When exploring Panama, one also get the opportunity to see two sets of sand dunes in one location which is rare in Sri Lanka and also see the formation of sand dunes and types of vegetation found in this coastal ecosystem. It is believed that the sand dunes offered as a buffer during the 2004 Tsunami. 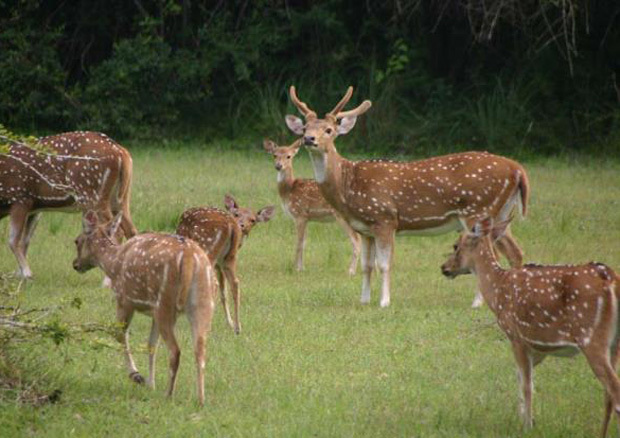 About 15 km inland from Arugam Bay, the main road passes through the scenic Lahugla National Park. 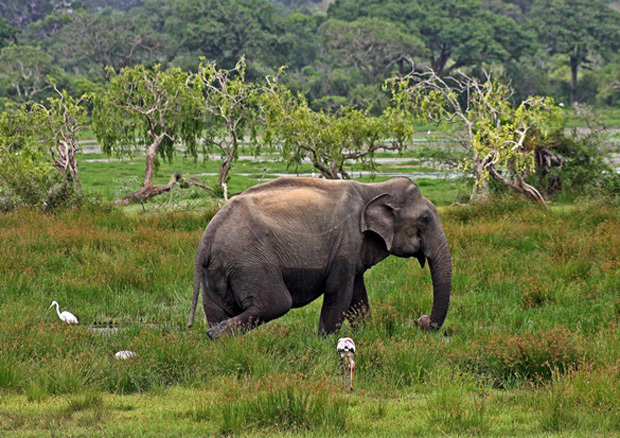 Extensive Lahugala reservoir being the center piece, Lahugala Park draws a population of about 150 elephants during July and August, when the surrounding water bodies dry up. In the lush vegetation and the grass which grows in abundance, the herds of elephants find their feed. 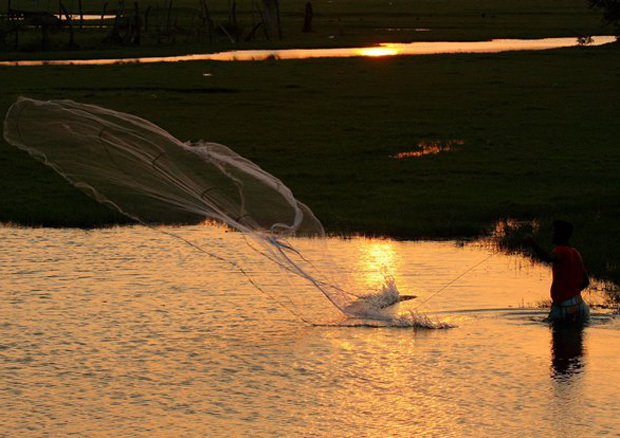 The reservoir also brings about the spectacle of aquatic birds enjoying the company of elephants.